A wonderful, cute and colourful push along toy for a toddler! When pushed, the colourful wooden beads make a great clacking noise. 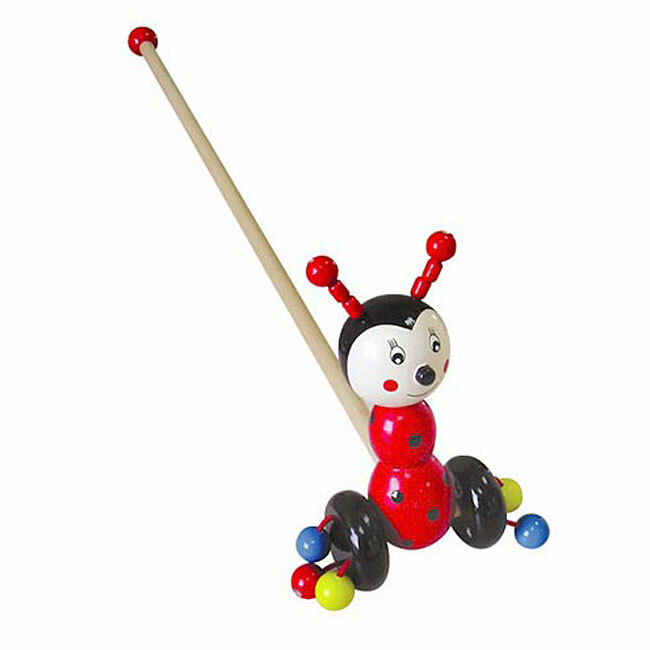 Measures: 54cm stick length, ladybug 17cm high.